The naturally strong and dense fibre resists matting and gives a smooth, professional finish as well as a long life span. 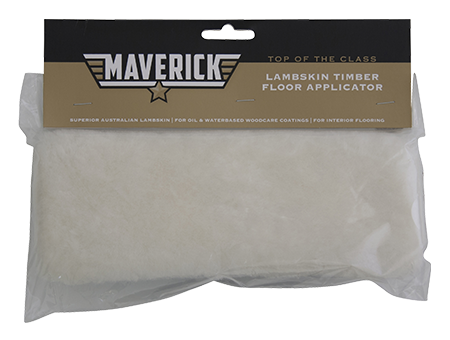 Lambskin is naturally shed-resistant with exceptional capacity to hold and release product. The natural oils allow for easy cleaning. To eliminate any loose fibres, brush or vacuum the applicator thoroughly. Wash immediately in minerals turps for solvent based products, or warm soapy water for water based products. Do not leave the applicatorto soak in water or solvent. Do not wrap up or bag the applicator with the product still on it. Following these cleaning and storage instructions will result in your lambskin applicator having a long lifespan.